Habitat for Humanity is looking for Veterans to help! We frequently receive letters and emails from the troops thanking us for our efforts. In order for the members to all share these thank you notes this page has been created for our brave men and women in the military to let us know how we are doing. Military men and women who post here please do not include any personal information as this is a public page. Just a note to say thank you all for the support and great care packages. It means a lot. I am re-deployed from Iraq and back in Germany. Please remove me from your mailing list. Many thanks again from me and my family. Hi all. Just got a care package from you and it’s great! I’m currently in Paktika, Afghanistan with TF Currahee, 101st Airborne Division. Just wanted to say thank-you for the care packages and support, and for being a support network for my Mom and for each other. The families have it harder than the Soldiers in many ways and we appreciate you for all that you allow us to do. My team just received your package here in Now Zad, Afghanistan. Thank you so much for your thoughtfulness. It means so much to me and my Marines! 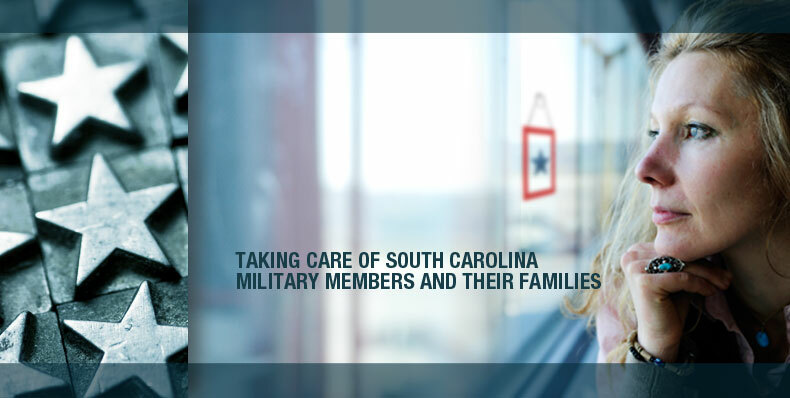 THANK YOU FOR SUPPORTING SOUTH CAROLINA'S MILITARY MEMBERS & THEIR FAMILIES.